Author: Fiona Bell, University of Liverpool PhD Student. Still from "There's a Rang-tan in My Bedroom" Animtion. Greenpeace, Iceland. Palm oil entered the spotlight last year following the ban of Iceland and Greenpeace’s Christmas advert. The destruction of rainforest and peatlands for the palm oil industry, primarily in Malaysia and Indonesia, has been long documented, particularly in Malaysian Borneo where it is responsible for 60% of the 4.2 million hectares of land deforested since 1973. An estimated 350,000ha of Bornean forest (an area one fifth the size of Wales) is destroyed every year, a process linked to air pollution, land conflicts, and biodiversity loss. Palm oil is implicated as a threat for over 190 threatened species in the IUCN Red List, including the critically endangered Bornean Orangutan. Palm oil production has a bad reputation, but its problems can’t be solved by a simple ban. Our food demand is only growing, and millions of Indonesians and Malaysians depend on the palm oil trade. Oil palm is one of the highest yield oil crops, so requires less farm land to meet oil demand, which could allow more of our rainforests to remain intact. However, this will only happen if we can develop sustainably, which will require effective, evidence-based spatial policies that can guide production. Much of what we know about deforestation activity comes from satellite images, enabled by advances in remote sensing. The advances are facilitated by governments and businesses globally, with uses ranging from street mapping to calculating insurance premiums. 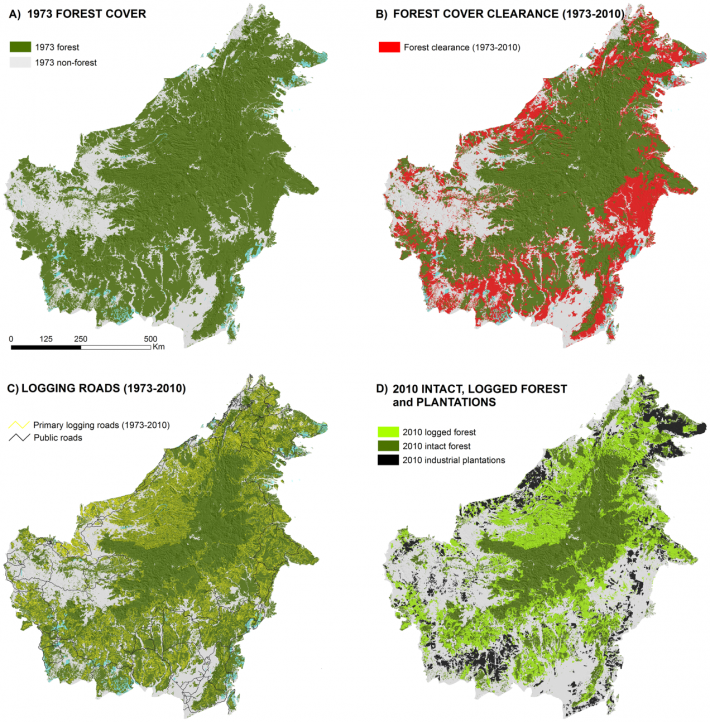 Remote sensing work on palm oil issues goes right back to 1985, with a study to track forest fires in plantations in Borneo. This contributed to a body of seminal research that prompted critical review of the industry. Technology has come even further in recent years. 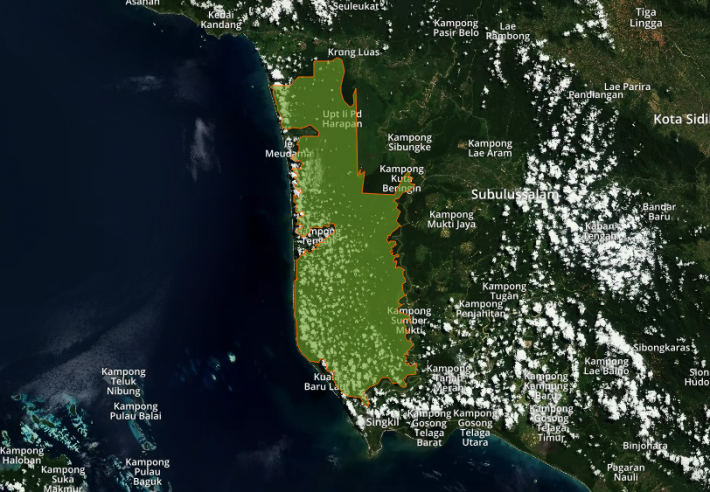 Just this year, illegal deforestation in the north of the Malaysian Rawa Singkil nature reserve was verified by the Starling Satellite program. Satellite Imagery of the Rawa Singkil Nature Reserve (highlighted), UNEP-WCMC and IUCN (2018). Protected Planet: [The World Database on Protected Areas (WDPA) [On-line], [November, 2018], Cambridge, UK: UNEP-WCMC and IUCN. Available at: www.protectedplanet.net. In order to make all this satellite data useful, we need to analyse it, and to display the information in a way that makes sense to policy makers, land managers, and the public. To do this, we usually use GIS. GIS (Geographic Information Software) is a type of interactive mapping software for exploring and visualising spatial data. Although software packages can be highly specialised, most people have used GIS in their daily lives; Google Maps is one such example! Much like the Satellite vs. Map views in Google maps, different layers of data can be combined and analysed in GIS; the IUCN map shown below combined palm oil production data with LANDSAT images, and palm oil plantations were identified by eye. You can actually look at a map of deforestation yourself online! Crucially, GIS can be used to create informative maps with clear messages to engage people, which is vital for shaping policies, especially those with a spatial dimension. Is the public engaged enough to affect policy? 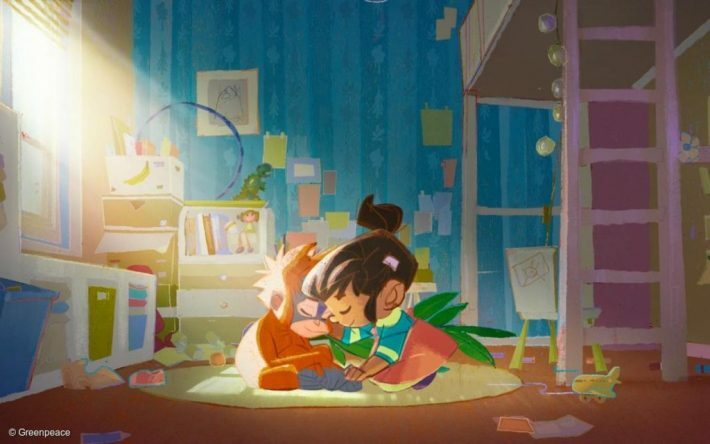 Articles on the banned Iceland advert received nearly one million shares in under a week, Google searches for ‘palm oil’ in the UK are at an all-time high, and there have been spikes in signatures for various petitions of the UK government to ban unsustainable palm oil products. One such petition amassed nearly 40,000 signatures in the last week, 90,000 in the total six months. Evidence of the environmental impacts of palm oil has previously effected real policy change; the UK government collaborated with sector organisations and NGOs in 2012 to release the Statement on Sustainable Production of Palm Oil. Total palm oil imports have since dropped and proportion of RSPO certified imports have risen, in addition to substantial purchases of GreenPalm certificates. Likewise, the EU proposed a ban on palm oil biofuels by 2021, but the deadline has been extended to at least 2030, reinforcing the need for ongoing research. Future UK policy will also be important in light of Brexit, which could allow the UK to forge new trade deals with Malaysia outside of EU legislation. It seems that as long as there is a high market demand for crop based oils, palm oil production will increase- but with satellite imagery, mapping, and monitoring, we can take a strategic spatial approach to protecting as much of the forests and their inhabitants as possible.